The Cotswold Way is roughly 102 miles long stretching from the un-assuming Chipping Camden to the ever famous city of Bath. The Cotswolds are a series of hills in the Western Midlands, covering 90 miles north to south and 25 miles east to west. These are not the Alps (the highest point is 1,083 feet) however you will get some of the best views in all of England, with the picturesque green meadows, stone walls, and (quite) a few sheep here and there. Those who love thatch-roofed cottages and pubs with pints and views will LOVE the Cotswold Way. To be fair, I have not done the entire Way. I have gone from Leckhampton Hill to Winchcombe, however I have been blown away by the scenery which that portion provided. So I decided to take the 606 as far as it could (Broadway) and hike to Winchcombe. Below are some pictures from my travels and a Google Map of my route. I highlighted the town of Stanton- the quintessential English village, and Hailey Abbey. 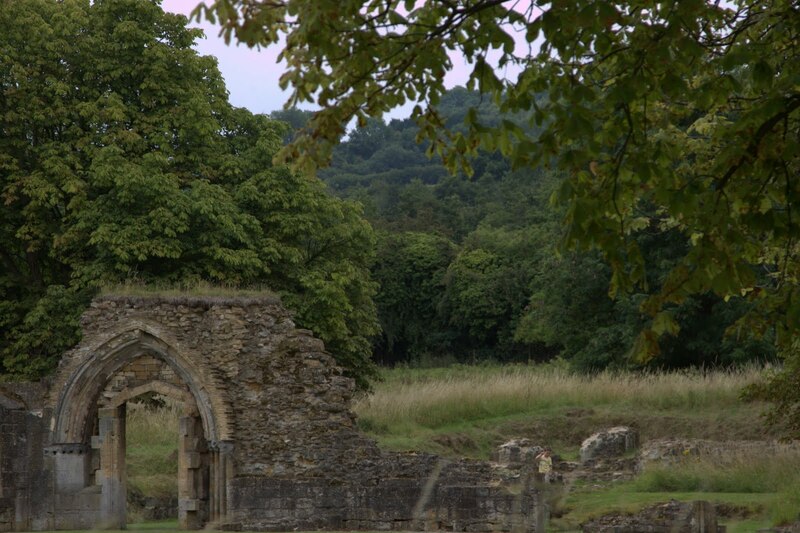 The Abbey's remaining structure (nothing more but footing) is both a historical and photographic gem. View of Broadway from Burhill Farm. Broadway was so named due to its wide street. Which, in American standards is still quite small (I would love to see two oncoming Humvee's duke it out) but for England well consider it a 4-lane highway. It used to be the main road between London and Worcester before some M# came along. Broadway offers plenty of pubs and of course the Broadway Tower looming in the distance. Stanton is a tiny town along the 12 mile route, but its so cute you have to stop and look around. 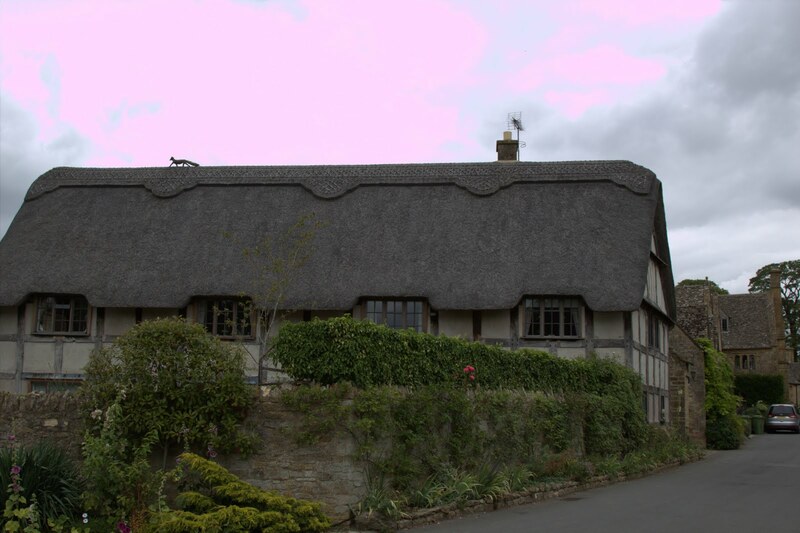 Thatched-roof cottages are the norm rather than the exception, and you know villagers take pride in their little slice of England. I suggest stopping in for a drink at The Mount Inn, soaking in the views in summer or warming up the fireplace in winter. 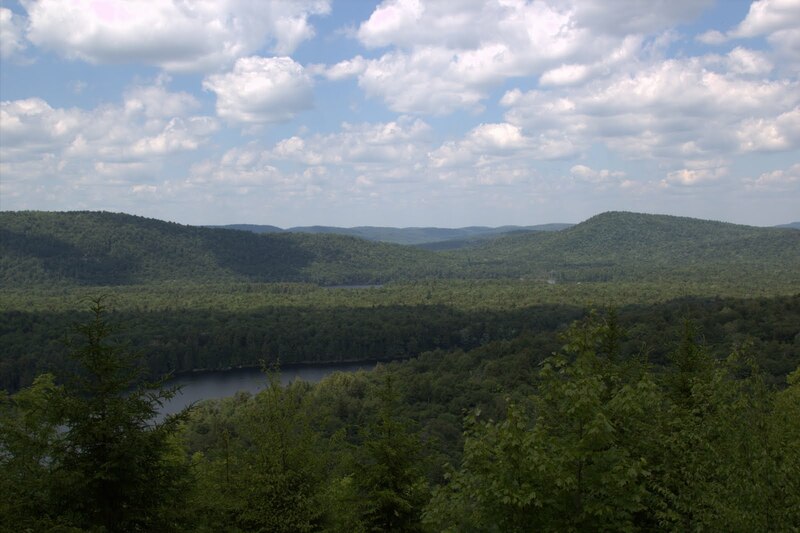 There are a few B&Bs here and with plenty of trails around this would be a good base camp for weekend walks. Or, the 606 bus comes daily with stops in Winchombe and Cheltenham, so if you got the time there is no excuse to stop in for the day. About an hour walk from Winchcombe is Hailes Abbey. Built in the 13th century, it is not short of historical happenings, and was even a bit gruesome (many there died with the Black Death in 1361) at some points. Not too far away is the Hayles Fruit Farm and Restaurant, which offers tasty snacks and meals to those who make the journey. 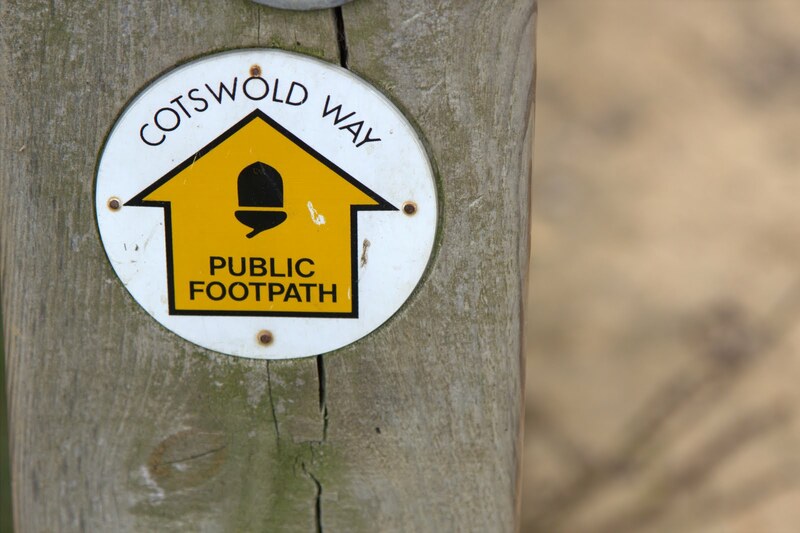 They also are one of the few places on the Cotswold Way where hikers can camp. 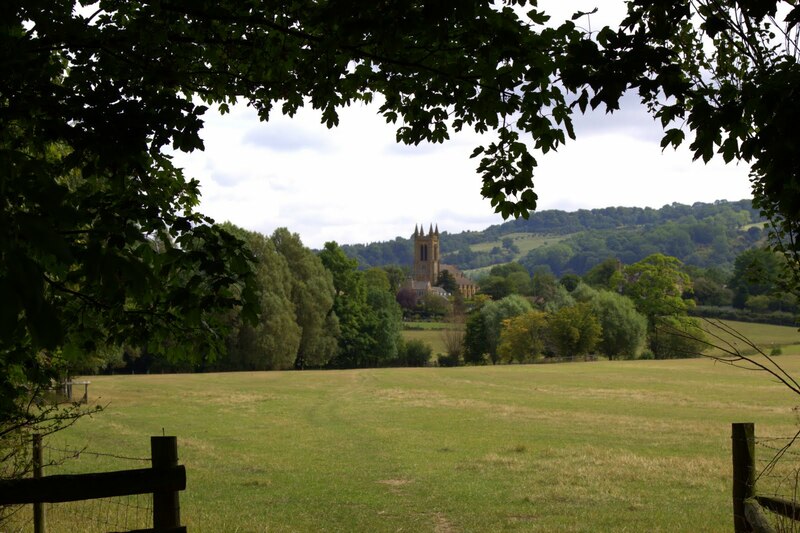 Winchcombe is a fairly large town with many of amenities for walkers and tourists alike. They just recently opened up their own 42-mile walk around the Northern Cotswolds. You see some of their blazes (yellow with footprints) along this section of the Cotswold Way. To reward yourself for a walk well done, you can treat yourself to Juri's Tea Rooms or if you fancy a pint try the White Hart Inn or The Fish Bar just off the High Street if some fish and chips is more your celebratory style :) Sudeley Castle a quick walk away, and if you are continuing the Cotswold Way Walk or are up to the uphill huffing and puffing, the burial mound Belas Knap is an hours walk. The GPS of this route is from GPSies.com. I added my own pushpins to show my start/finish, and other highlights of the walk. I have a new love. Lentils. I recently posted a spicy carrot and red lentil soup. It blew my mind, discovering something awesome (which I previously held as disgusting) for the first time. So EatingWell magazine had a bunch of recipes focusing solely on the mighty lentil, and I had to repost some. Curried Red Lentil Soup: Once again a vegetarian soup which looks amazing with crusty bread. Maybe a bit more for the fall season-- but never too early to try! Eggplant Mango Lentil Salad: Mangos are my favorite, so I am eager to try this. I know eggplants can be tricky though for cooking. However my nagging guilt at not doing the race still looms heavy on my mind. I went for a run yesterday, nothing huge, a 2-miler. I had pains on my sides but I did not feel like I had to stop. So, now I am committed to running ten-miles because I am annoyed that I didn't at the Boilermaker. So, now that 'vacation' is over, I am eating healthier and I already feel better because of that. However, I am going to try and run 3x a week. I plan to start 2-4/miles a go, and then progressively getting a tad longer each week. If I join a gym I may swap out some spin classes because, I like spinning much more than running, and doing one can improve my time/speed in the other. You are breathing wrong... trust me: Its amazing how breathing really impacts our activities. I noticed this with SCUBA diving. Once I started paying more attention to breathing underwater I significantly increased my dive times as I could use the O2 better. I am sure the same goes for running. Positive Thoughts equal Results: So you had to take a breather during a run... so you had to walk up the rest of the hill. Rome was not built in a day. Make realistic goals and suddenly its all quite achievable. No matter what exercise you prefer: cycling, hiking (me! ), or running... stick with it and challenge yourself! I just want to point out this is not an exhaustive list by any stretch of the imagination, but some highlights from the area! And... while you are in the area, why don't you partake of the 14.5 mile of trails making up the Niagara Gorge area? Stop over to Goat Island or Devil's Hole for a picnic lunch, or take the Gorge Rim Trail and get away from the tourist buses to soak in the solitude, where sometimes the only sound you hear is that of the river. 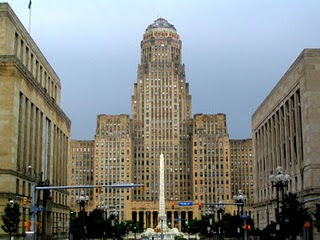 Architecture is another interesting draw to Buffalo. Frank Lloyd Wright built a few buildings in the area, to include the Darwin Martin house. I am not sure if this list is exhaustive, but a few Google searches should put you on your way. If you just love buildings, my suggestion is to start downtown on Delaware Ave right at City Hall (see right), in Niagara Square, continue down to experience "Millionaire's Row" which has some very impressive mansions, a shout out to Buffalo's heyday. You can even stay in one while visiting! Rates vary based on time of the year. Then maybe head over to Allentown for more photo ops... and maybe a bite to eat and a tasty brew. Or swing over to Elmwood for its hipster stores and tasty restaurants. Also on Elmwood is the Albright Knox on one side, which spills into the huge Delaware Park, and on the other side Buffalo State College and the now empty Buffalo Psychiatric Center, a beautiful building with a quasi-creepy past. Buffalo Zoo: Because animals are cute. Animal rights activists protest all you want, but during Buffalo winters I wish I could stay in a temperature regulated environment every day! Buffalo Science Center: Relive childhood memories of blowing your eyebrows off or encourage your kids to embrace their own mad scientist (but maybe steer them away from the eyebrow blowing off bit... those therapy bills were not cheap!) Plus.. the building the museum itself is sweet looking. Garden Walks: Now I am not into gardens, nor am I interested in seeing others. Especially because it would inspire me to drop a ton of money in a project I will never complete or do complete and it will look no where as awesome as the one that I wanted to duplicate. Lack of green thumb aside, I know many people are interested in these types of things. If anything its a great focus for photographers who have a penchant for macro mode or aesthetic design. Roycroft: OK, this is NOT in Buffalo. Its in East Aurora. However it is completely worth the drive. For starters its the largest building complex which evolved from 'guilds' (not really like those things on World of Warcraft, real guilds focused on a certain trade or craft). There are classes year round, fun events to keep the little ones busy, and is even open for special occasions and meals. Believe me, with the Roycroft as the backdrop, it makes an already special day almost perfect. Plus, stop down on Main Street to Vidlers, an honest to goodness Five and Dime Store. Remember those? Me neither, but as a kid Vidlers was the best, so I am sure it still stands for kids today. Forest Lawn Cemetary: Me- "Wow that grass is so green and pretty, it would be a great place to have a picnic" My Sister- "Melissa that is a cemetary, you are so stupid" ::cue more hurtful comments and teasing:: OK so it maybe wasn't that bad, but Forest Lawn is a pretty amazing place. The gravestones and mausoleums as well as the tranquil green space is a poets or photographers dream come true. We even have some famous residents there: Rick James and former president Millard Fillmore. See the list of more (or less) famous(ish) people here. Tours are available as well. Buffalo Turkey Trot: After listing all the tasty foods available here, you are pretty much going to need to run off some calories. 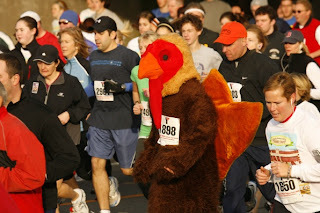 Do it the morning of Thanksgiving at the Turkey Trot, America's longest consecutive running race (116 years and running- ha!). Its not too long, 8k, and a perfect reason to feel justified having another slice of pie. However now I am hearing a bit of a different tune. I still get those comments, however its from people who have never even been to the Buffalo area. Those people who have actually been to 'The Queen City' or the 'City of Lights' are quite amicable towards it... they even enjoyed it! I knew it was just a matter of time before I felt the same. You can take the girl out of Buffalo, but you can't take the Buffalo out of the girl. 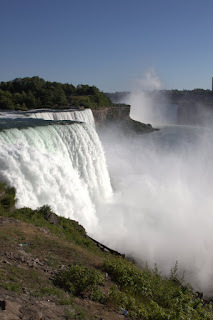 In the next few blogs I will post some of the things and places in Buffalo which made me fall in love with my hometown all over again. Buffalo Bisons Game: I am going to say first- I do not really like baseball at all. I like the hot dogs and the peanuts. However, unlike MLB tickets which may cost your children their college education, these tickets can be as little as $9.50. They also have entertaining things going on between innings (I personally like wing vs celery vs bleu cheese) and if you on Fridays, you get post-game fireworks! And with the money you saved on tickets, there is plenty of money to go to the bars later! Shakespeare in Delaware Park: Situated very close to the famous Albright Knox Gallery and the Elmwood strip, this is always a great (and free!) way to spend a summer evening in Buffalo. Only New York City has a larger Shakespeare in the program. And I can guarantee you Buffalo is a bit lighter on the wallet! Thursday in the Square: Where can you see the Goo Goo Dolls (also a Buffalo institution along with Ani DiFranco) for free? Or the Mighty Mighty Bosstones? This is also a great place to find new and upcoming talent in the opening acts. One of my friends bands (The Pillagers) opened up for Blues Traveler! Taste of Buffalo: Most people know about the food from Buffalo (if not read on!) however you can sample those and many more diverse and eclectic foods all in one location. Right in downtown Buffalo- its a great location and a great way to spend the afternoon. Some people are wine snobs. They sniff and swirl their wine glass and scoff at two buck chuck. There are also car snobs who will argue to the death of why standards are better than automatics, and will always remind you while driving (usually them somewhere). I mean this in the nicest way possible because I am one myself. Yes, even after years of living outside the All-American city I consider myself a wing snob. I sneer when I see 'Buffalo chicken wings' on the menu. Please do not make laugh. If you have to specify they are 'Buffalo' style they probably are not. We do sniff, we want to smell the sauce before the wing touches our lips. If you can't smell the sauce: you don't have enough sauce or it's weak sauce. Please take it away. We evaluate the integrity of the wing. Can you see bone where meat is supposed to be? Do the double bones (known as the wing) hold their own or do they break easily? No one wants a weak infrastructure on their wing. We want meat on them bones. Speaking of meat: we don't like tiny chicken wings either. We don't want the drumsticks from Cornish Game Hens. No. We like genetically enhanced mega chicken wings. OK maybe not that big... But seriously it should take me more than one go to get the meat off the bone. Sauce. This is where it gets tricky. Trust me though, pineapple teriyaki is NOT a Buffalo style chicken wing. Hot, medium, or mild. BBQ MAYBE- but don't press your luck. Blue cheese. You use ranch you say? No. Just no. And it has to have chunks, it can't be runny either. I suggest Marie's but that can be hard to procure depending on the area. Don't use Blue Cheese? :: sigh :: Fine, just don't use Ranch. Believe me I love Ranch dressing, but on wings it's just a no no. Also, celery and/or carrots MUST be included. Do not charge extra- this is an integral part of the dish. How better to slather the blue cheese on your wing than with a stick of celery? OR, tell yourself your meal had veggies- and is therefore healthy? Amazingly this seemingly simple dish is actually a work of art, and we take pride in having the best. We generally do not order wings outside the area. When we do (hey, there are always exceptions) we are scrutinzing to a fault, and we end up wishing we didn't order it after all.